The author of a new book on the disappearance of Michael Rockefeller in 1961 claims to have solved one of America's most enduring mysteries. The 23-year-old son of New York's Governor Nelson Rockefeller and heir to a vast family fortune went missing in Dutch New Guinea while filming a documentary. At the time, officials declared Michael Rockefeller had been lost at sea after the boat on which he was travelling capsized. But shortly after his disappearance rumours began circulating that he had in fact been murdered and eaten by local tribesman from the Asmat region. 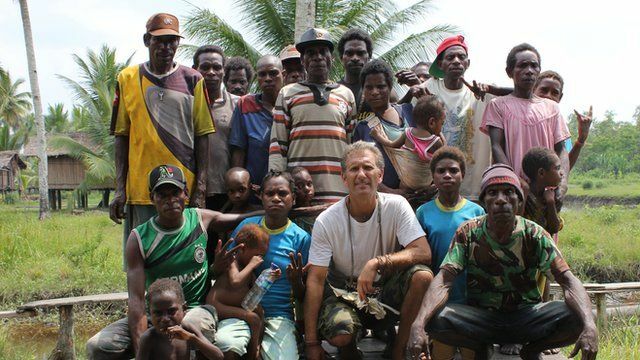 Carl Hoffman, author of Savage Harvest, retraced Rockefeller's steps in what is now the Indonesian province of Papua in search of previously undiscovered clues.